Starring: Chris Pratt, Elizabeth Banks, Will Ferrel, Morgan Freeman, Liam Neeson, Will Arnett and Alison Brie. Synopsis: When an average, run-of-the-mill minifigure, Emmet, comes across an ancient relic, only he can stop the evil President Business from destroying the world. THE LEGO MOVIE was a fairly maligned project from the get-go. You only had to hop on twitter or even a movie news site for a second to see all the hate. "It's a soulless cash-in." was the most common complaint, and the Fox News complaint was that it was anti-business, but those people are insane, so who cares?. While it's very much a commercial that totally made me go out and buy a Lego set or two, I'm happy to report that it was also one of best and most joyous experiences a movie in recent memory. Continuing on what could only be described as a winning streak in comedy, Phil Lord and Chris Miller have a very unique and dense sense of humor that warrants repeat viewings of their films. 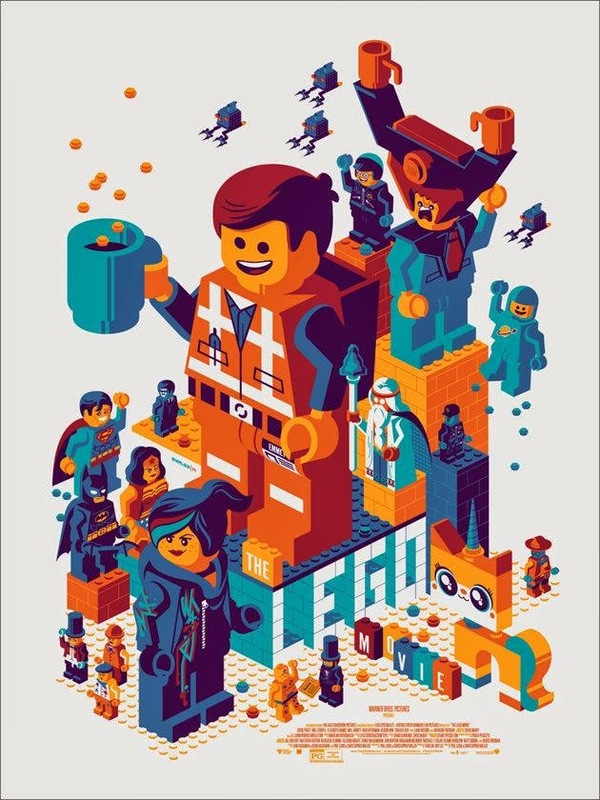 What makes this such a great experience is the very evident wit and intelligence that's in the writing and the clever way that the reverence for Lego history is portrayed in the movie. There's a lot of visual jokes that work because of the fact the characters are Lego minifigures and therefore have the limitations of such and the 100% Lego world that they inhabit. This means that the water is blue block pieces, and the fire is actual fire effect pieces. So a lot of the gags are just going to be based purely on the understanding of how Legos work and their limitations. The story, which is about an average, run-of-the-mill, construction minifigure acting as the Special who will overthrow the evil President Business, is a good reminder that on the surface this movie doesn't sound great. But Lord and Miller are able to elevate this average plot to a smart and hysterical film. It's an action movie that makes fun of action movies, and it's a toy commercial that takes full advantage of the culture, nostalgia, and history of the brand while taking funny shots at the brands that Lego has a license for. Where else would you be able to see Michaelangelo (the artist/inventor) interact with Michaelangelo (the Ninja Turtle)? What makes the movie even better is just what a great message the movie is trying to convey that is both applicable to kids, and maybe because I am one, I think its message is strongly veered towards nerdier adults. In addition to that, there's a prevailing sentiment through the movie that even despite its very corporate nature, there is not an ounce of cynicism here, just pure joy very similar to that of a child's play time. Maybe that's why the movie as of the time of this writing has taken the top box office for the weekend and has an almost nearly perfect Rotten Tomatoes score. There's a certain purity to imagination that no one can deny. This is, put frankly, one of the best movies of 2014, and possibly the best in the duo's career. Now, excuse while I go build my Metalbeard set.